Engle Homes for sale in Las Vegas, Nevada has a special builder promotion of 30 year fixed home mortgage loan of 5.5 percent APR on select 25 houses valleywide within Engle neighborhoods. An additional incentive includes no closing costs for new homes sold and up to $100,000 off of Las Vegas home purchases through November 16. Engle Homes is making it more affordable, with set monthly payments, for future new home buyers to purchase their homes in the current volatile mortgage market. The Mesa Village in Summerlin Las Vegas real estate continues construction in Summerlin’s newest village. The Mesa Village real estate upon completion will offer recreational, educational and social activites for its residents. The beautiful location is next to the Spring Mountains. The village’s first neighborhood is Ladera. There are more than three Las Vegas home builders with more than 20 new home floor plans available for home buyers. The Mesa Village in Summerlin real estate has three real estate developers offering 17 new home floor plans in the Ladera neighborhood. 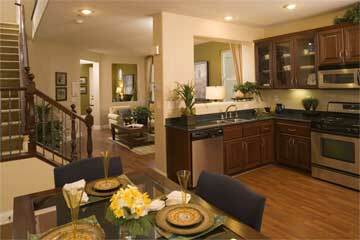 Ladera Ridge homes by KB Home, range from 1,642 to 2,103 square feet and are priced from the low $300,000s. Ladera Canyon homes in Summerlin Las Vegas by Richmond American Homes‘ features floor plans measuring 1,962 to 2,804 square feet and are priced from the mid $400,000s. 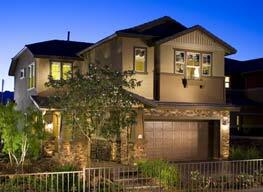 Ladera Crest homes by KB Home offers homes ranging from 2,388 to 2,786 square feet and priced from the high $300,000s. Ladera Terrace homes by Engle Homes features homes from 2,031 to 2,574 square feet and are priced from the high $300,000s.